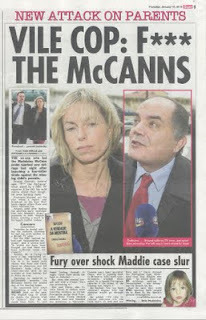 GONÇALO AMARAL - BRITISH MEDIA SMEAR CAMPAIGN: Within Hours the BBC Knew They Had Made A Big Mistake BUT Let The SUN Run With Their Libelous Story ! 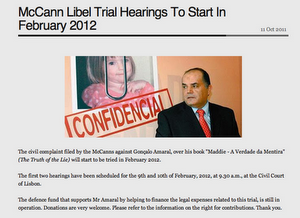 Within Hours the BBC Knew They Had Made A Big Mistake BUT Let The SUN Run With Their Libelous Story ! 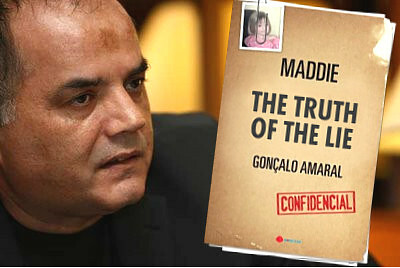 ComplaintThe programme included a brief exchange between a reporter and Gonçalo Amaral (a former policeman who had worked on the disappearance of Madeleine McCann and had since written a book on the case). One word in the exchange was bleeped, and the report gave the impression that this was because Sr Amaral had used offensive language about the MrCanns. A viewer complained that this was inaccurate and unfair to Sr Amaral. 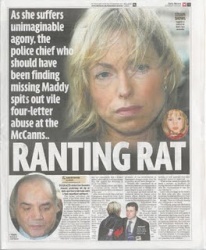 OutcomeThe reporter's belief, reinforced by others on the programme team who viewed the recording, was that Sr Amaral had indeed used an English phrase which included an offensive term applied to the McCanns. On further examination, however, it became clear that Sr Amaral had been speaking Portuguese, and that an inoffensive phrase had been misconstrued. Further actionThe Editor of the programme has discussed the outcome with the producer and reporter involved. In future, the team plans to use interpreters if clips from interviews are unclear.